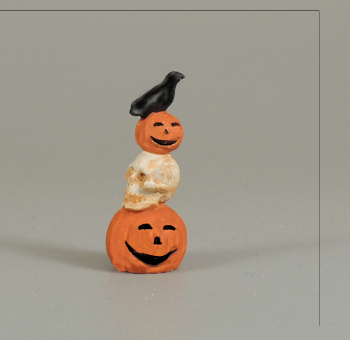 Super cool little figurine features pumpkins, skull and raven. Easy to paint, whit loads of detail. Highest quality 3D resin print. Available in two sizes. Use dropdown menu above to choose size.